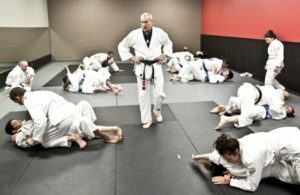 In 2006, Steve started a complete professional adult Gracie jiu-jitsu program at Imperatori Martial Arts on Roswell Road. In 2013, the kids GJJ program at Imperatori was introduced. In 1989, Steve Brown and his wife Peggy founded the American Martial Arts Program at the Ravinia Athletic Club, (across from Perimeter mall) in Atlanta. 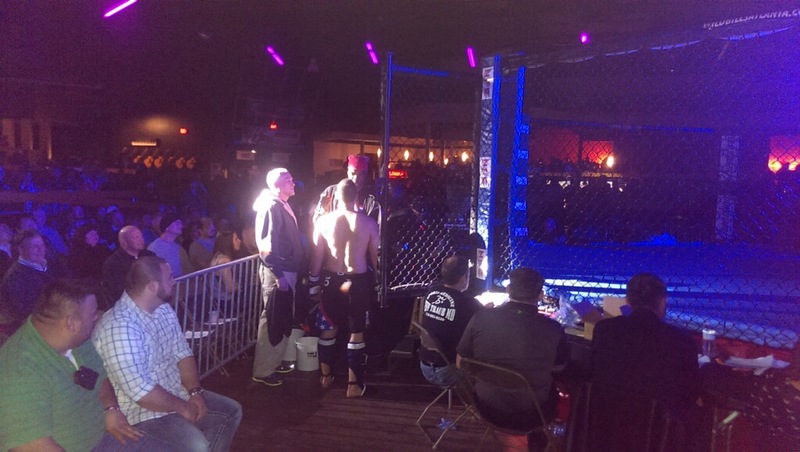 This was one of the first MMA programs in Atlanta. This program served both kids and adults. Growing up in Miami along with his martial activities he played football, including in college. Steve started his martial arts journey as a youth and now has an extensive background in many martial arts, including boxing, kickboxing, Muay Thai and a second degree karate black belt. As a “striker”, some of his teachers and influences include: Angelo and Chris Dundee (boxing), Joe Lewis and Rick Roufus (kickboxing), Keith Vitali (karate) and many more. Steve began his GJJ journey shortly after Royce Gracie beat all comers in the first UFC in 1993. Steve trained in Gracie Jiu-jitsu under Fourth Degree Gracie Black Belt Eddie Camden at Tiger Academy (a Certified Gracie Training Center). Royce Gracie presented Steve his black belt. Steve’s experience as a fighter, trainer and fight strategist has allowed him to combine his skills as Head MMA coach for Team AMA. Steve believes in a supportive, safe, team environment, where everyone trains hard, but practitioners don’t pay the physical price many gyms are infamous for. Steve and his team have actively taught Self Defense Seminars in the community and to Fortune 500 companies around the southeast since the early 90s. They have also taught martial arts to kids at Camp Sunshine (a camp for kids with cancer) since 1989. Steve has been an active volunteer at Camp Sunshine since 1989. There are only 5 belts in Brazilian Jiu-jitsu, white, blue, purple, brown and black. On the self defense side of GJJ, the approximate experience based on belt level is as follows: Blue 2-6 years, Purple 6-8 years, Brown 7-10 years. To get a Black belt, it takes on average 10 -12 years, usually closer to 12. To obtain a Blue Belt in Jiu-jitsu, you must be 16 years old. To attain the rank of Black Belt, you must be 19. All our instructors love working with kids and watching them grow! U.S. National Heavy Weight Submission Champion March 2009. World Champion Runner Up in the traditional Japanese weapons –Battle of Atlanta- January 2005. Instructor of Safety in the Work place seminars for the Georgia Sheriffs Association – St. Simons, GA 2006. Weapons disarming Instructor– 6 years. Traditional Japanese Weapons instructor – 8 years. Student Athlete – Middle Linebacker – Duke University Football Team Letterman’s Club award winner – 1980 thru 1984. Lead Instructors: Ben Yisreal (Brown Belt), Richard Smith (Brown Belt), Stuart Wolf (Brown Belt), Judith Wellen (Purple Belt), Hal Smith (Purple Belt).